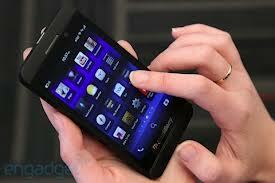 We have good technology news for you that blackberry announced some good changes in the features of its blackberry Z10. Blackberry is realizing the importance and popularity of the smartphones and iphones and its blackberry has some valuable changes in it. Now we are going to tell you about these changes so read carefully. 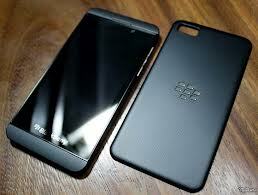 Below are the 5 features of blackberry Z10. if we look at the hardware specification then it has a 4.2 inches screen as well as a 1280 x 768 resolution. Its screen density is per inch 365 pixels. It has a 1.5 gega Hz processor dual core and it also has a 2 gega byte RAM. It has two cameras one on the frond and one on the back and they are 2 Mega Pixel and 8 mega pixel respectively it has 16 gega byte storage and a good long battery life. the keyboard of this blackberry is much better than the previous it is a fluid keyboard it has a good function keyboard. It is the first blackberry which doesn’t have a QWERTY keyboard. it is also a good feature of black berry z10 in this feature you can take all your massages in one space. In this space which is provided by blackberry you can take all your text, massages, and all written data. This feature is also helps the users to ease their self. This is a good sharing function this function is announced at the New York when the BB 10 releases. With this function you can share blackberry screen with blackberry messenger. With this feature you can share your space and screen and have a lot of fun together. it has a good browser which can load all the html version sites easily. Multi tab and other good features are also in there. This browser is very likely to the people because they like to browse multi tab. These are the five features which we discuss with you. if you want more information on technology then stay in touch with us.